Willow Tree angels and figurines form a wonderful collection representing qualities and sentiments that make us feel close to others. 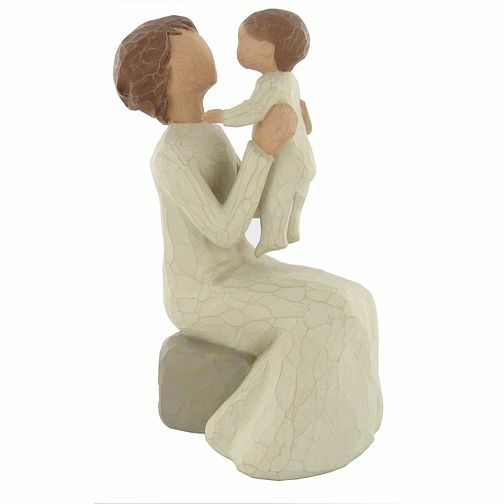 The Grandmother figurine depicts a caring grandmother with a little one. Willow Tree Grandmother Figurine is rated 4.9 out of 5 by 14. Rated 5 out of 5 by Anonymous from This product is a great keepsake Absolutely stunning! I bought this for my mum on mother’s day as it was her first Mother’s Day as a grandmother! It held a lot of sentimental value and is lovely quality and came beautifully grift wrapped. Rated 5 out of 5 by Anonymous from Christmas Gift My mum received this for her xmas gifts from my grandson, she adores it.